Batter Jordan Curtis at the plate, against Alcorn State. 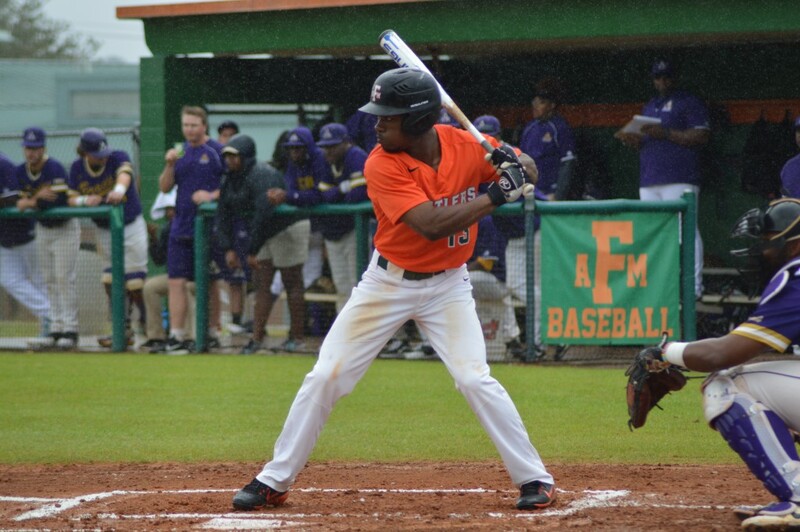 After losing to Alcorn State 8-5, the Florida A&M University (FAMU) Rattlers baseball team rebounded in a spectacular fashion winning 11-3 in game two. The second baseman, John Capra, got the Rattlers on the scoreboard early with a home run in the first inning. Alcorn State responded quickly in the third inning with a two-runner homerun to have a 2-1 lead. The game was tight until the bottom of the fifth-inning where the Rattlers scored five runs instantly. It started off once again with Capra starting with a single right fielder. Dallas Oliver came next with a double. FAMU was able to capitalize on some defensive mishaps by Alcorn State Center Fielder Wilbert Malphu. One of his errors led to catcher Jacky Miles scoring off a fly ball. The team was also driving in other runners as well such as shortstop Octavien Moyer who had three rbi’s in the game one of them being from first baseman Brian Davis. Pitcher Devin Shulstad touched on the difference between game one and game two. As seen in the result of both games head baseball coach Jamey Shouppe made smart adjustments to make sure the result in game one was different in game two. “Coach Shouppe elaborated this is an experienced coach who’s seen a lot of baseballs. He just told the hitters to have a more confident approach at the plate. We trusted his insight and we ended up scoring 21 runs in one game,” said pitcher Jeremiah McCollum. Pitcher Josh Wilson struggled early in his start with allowing three runs and two errors in 2.2 innings. He was relieved by Chancellor Benton who only allowed one run in 4.1 innings. Coach Shouppe went into detail about his two pitchers in Saturday’s game. Both Alcorn State head baseball coach Brett Richardson and coach Shouppe agreed to end the game in seven innings. 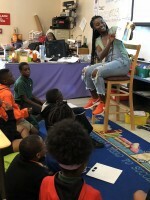 The Rattlers will look for another win against Alcorn State Sunday, and then head to Miami to take on Florida International University in a two-game series.